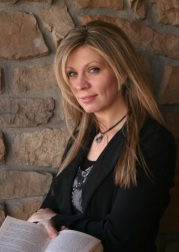 Today I’m excited to interview debut author Rachel McClellan about her book FRACTURED LIGHT that was released February 8, 2012. 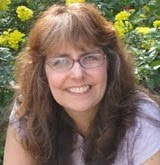 I was excited when Rachel contacted me for an interview because her book has both paranormal and fantasy themes. And I’d been seeing her book a lot around on blogs. Hi Rachel. Thanks so much for joining us. I was raised in Idaho. My summers were spent floating the canal behind our house, making orange julius and watching Days of our Lives. But then I became an adult and had to say goodbye to care-free days. I currently live in the New England area with my husband and four children and am mesmerized by how beautiful it is here. I’ve always loved to write and did it frequently as a child, but I didn’t take it seriously until a trip to Ireland in 2007. 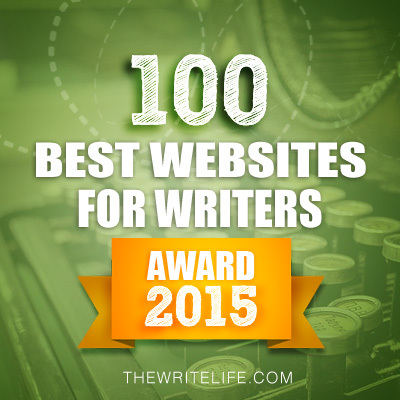 Something there made me believe in myself and gave me the confidence I needed to take writing to the next level. 2. I'd love to visit Ireland. I can see how the countryside would inspire someone to write. How did you come up with the idea for your book? The idea came to me while I was doing a writing exercise out of a book I’d purchased (yeah, I'm nerdy like that). The assignment was to write about something someone lost. I wrote of a girl at her father's funeral. She had such blond, almost white, hair that she looked like a ghost in the cemetery, but as I wrote about her, I felt her strength and I just knew I had to keep telling her story. There was so much she wanted to tell the world. 3. What a unique way to come up with a story idea. World building is so important in the paranormal and fantasy genres. What made you decide to have Llona be an Aura and the Vyken be the enemy of Auras? Share a bit about your world building process. I knew as soon as I created Llona that she would have the ability to manipulate light. I think it was her hair. And I knew I wanted the moon’s cycle to play a roll in her ability to use light. I believe that any type of special ability should come with obstacles, one the main character will have to overcome. This always adds more conflict to the main story line. As for the Vykens, I wanted to create a supernatural being based on vampire legends. They are the Auras complete opposite, but I also wanted them to have a compelling enough reason to hunt the Auras and not just because Auras are good and Vykens are evil. That’s why I came up with the idea that Vykens needed the Light in an Auras blood to be able to walk in the day and to gain a few other cool abilities. 4. So true that magical abilities must have limits. I've read that advice from many fantasy writers. Llona is an interesting character. Her parents have died and she’s living with her uncle. They are on the run and she’s always hiding who she really is, which makes it hard for her to get close to anyone. What were some of the challenges in creating her as a character? Llona was hard because she has the Light inside of her that wants to make connections with others, but she fights against it because she thinks if she gets close to anyone, she’ll be placing herself in danger. To develop her character, I needed her to trust someone. This is where May came in. Because May had her own secret, which Llona discovers, the two are instantly bonded. This makes Llona question whether or not to move again once she feels her life is put in danger. Finally she has an anchor, a reason to stay. Her attraction to Christian helped with that also. 5. What are some of your tips for plotting out a book like yours so the tension builds and the reader will be surprised at the end? 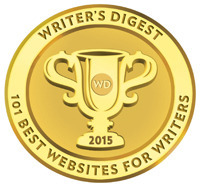 Creating tension can be difficult especially toward the beginning of a novel. In fact, I had a literary agent give some amazing advice which resulted in me rewriting the first 100 pages to include more tension. A couple of tips to increasing tension are introducing change, whether it’s a change of scenery, a new event or character. And as the story progresses these changes need to become threatening and place pressure on the main character. Also dialogue is a great place for conflict to play out. Tense dialogue has lots of short sentences, fragments and white space. 6. Those are great tips. Thanks for sharing them. You chose a smaller publisher, Cedar Fort, to publish your book. Tell us about your road to publication and why you chose a smaller publisher. When I finished Fractured Light, I told myself I would query it 50 times before I moved on to another project, which I’d already started. I had a handful of agents and other publishers ask to review the full manuscript, and even one who helped me with the beginning like I mentioned before, but ultimately it turned out not to be a good fit for them. On my 42nd query, I received an offer from Cedar Fort. I thought about it long and hard and finally made the decision to go with them mainly because one of my favorite authors, James Dashner. who wrote The Maze Runner, started with them. Turns out I made a great decision. 7. Sounds like you really put a lot of thought into our decision. In preparing for your interview, I did some research on Google. 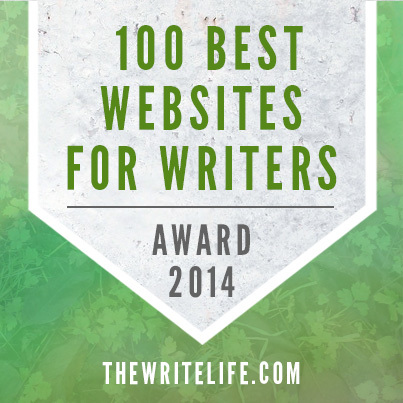 One of the things that impressed me is how much buzz you’ve gotten on blogs for being with such a small press. And I’ve seen reviews and posts from last year to now. 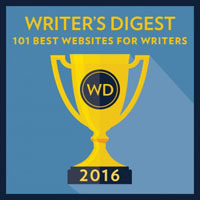 What’s your advice for getting the word out about your book on blogs, especially when you’re going with a smaller publisher? Work hard. It takes a lot of time, but it’s worth it. 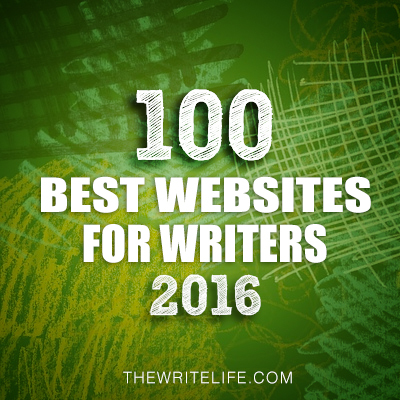 I found a list of YA book bloggers and contacted several of them, asking for a review, guest post, whatever I could get. I was fortunate that so many of them were receptive to the book. I’ve met many great people this way, and I’m eternally grateful to them for helping to spread the word. 8. Well, you've certainly been working very hard at it. And it's working. You're definitely getting the word out about your book. What are you working on now? Cedar Fort is releasing two more of my books next year. The first is the sequel to Fractured Light, FRACTURED SOUL. The second is a humorous memoir about raising children called CONFESSIONS OF A CEREAL MOTHER. I’m also getting ready to query a paranormal novel titled UNLEASHED. It’s sort of a young adult version of Dr. Jekyl and Mr. Hyde. To “Like” my books on FB go here. 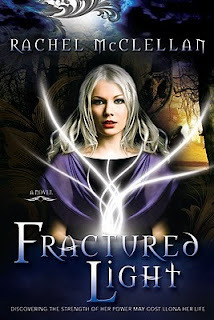 Rachel generously offered a copy of FRACTURED LIGHT for a giveaway. To enter, all you need to do is be a follower (just click the follow button if you’re not a follower) and leave a comment by August 18th. I’ll announce the winner on August 20th. If your e-mail is not on Blogger, please list it in your comment. International entries are welcome. On Friday, I'm excited to participate in Alyssa Sheinmel's blog tour for her book THE STONE GIRL, a story about a teenage girl with eating disorders. She'll be sharing a guest post and giving away an ARC. I'm really looking forward to sharing this book with you because it's sadly a timely issue for our teenage girls. One of my cousins who is my daughter's age almost died from this last year and I know another teenage girl who borders on having this problem. You may know someone who has this problem too. Next Monday I'm interviewing C.J. Redwine and giving away an ARC of her debut book DEFIANCE, a fantasy/dystopian book I loved. I'm only giving away my ARC because I plan to buy a copy for myself. The following Monday, I'll be taking off. My mom, uncle, and aunt will be visiting and I need to be a good hostess and enjoy being together. I'll be back Friday that week with a big Last Days of Freedom Giveaway Hop. Rachel, good luck with you next projects! Thanks for the interesting interview! I liked hearing about how you decided on your publisher. It reminds me of how much research and thought we need to do when making decisions about our writing careers. Rachel's book sounds so intriguing! I also love her story about finding her publisher on her 42nd request. Thanks ladies for another fabulous interview! Congrats to Rachel! Thanks for sharing - This is the first I'm hearing of the Cedar Fort publisher. YAY! for Rachel! She visited my kids' junior high school this past spring. I only discovered she'd been there once they got home from school. They said she was awesome and that her book sounded fabulous. I've since connected with her via Facebook. This sounds really good! I've seen it around a bit but never really read much about it. Thank you so much for interviewing Rachel, now I know I've got to get this! I like the idea of Magical abilities having limits. The cover of Fractured Light is super. Thanks for this wonderful interview. Thank you so much for taking the time and effort to share with us today. I am really looking forward to reading Llona's journey and curious about how it plays out. Great interview! Fractured Light sounds really good! Thanks for the chance to win! I love how this book rose from a writing assignment. Thanks for sharing tips on raising tension and for telling your story to publication. I am definitely interested in being included in this drawing. Not entering to win but wanted to say it's a cool cover. 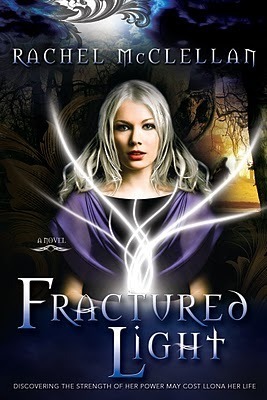 Wow, Fractured Light sounds like quite a book - going on my TBR list. And thanks for some great interview questions, especially about building tension, the road to publication and Cedar Fort. The cover is absolutely gorgeous. Interested to read! Enjoyed the interview! I always appreciate the writing tips from authors. I'll be reading this book. Thanks, Casey! Good interview. It's nice to see a unique take on vampires. I Love the idea that they need the light to function by day. Interesting. I liked the tips, too; especially on creating tension. Great interview. I also like the idea of putting limits on paranormal abilities. There have to be some rules! An inspiring interview Natalie. I agree that querying fifty agents is enough. What a great title, Rachel and the story sounds awesome. I must read it. Thanks ladies for featuring Rachel. Another wonderful interview, as is the norm here at Literary Rambles. I always learn something, whether big of small. I'm thoroughly impressed with Cedar Fort given the representation today's author is presenting. I wish you the best of luck, Rachel, with this publication and those to follow. I have always wanted to go to Ireland, too! Well, I want to go all over, but Ireland is definitely one of the countries. Too bad I wouldn't fit in there, unlike my mom and sister. I'm darker, like my dad. Ha-ha. And I love the advice about tension writing. I'm totally going to use that from now on. I Love how she makes world building sound so simple : great character has gift and obstacle, enemy wants her blood. I want to go to Ireland; so jealous! Wow-great interview and advice. I am working on the opening of my wip and the notes on increasing tension will be put to good use! Thanks! Sounds like a great read! I added the book to my TBR list :) Can't wait to read it! I'm not on blogger, so you can reach me via email as above. I enjoyed the advice on how to add tension. All of it rings true! I've had my eye on this book for a while now. Sounds like something I'd really enjoy! Thanks for the giveaway!! I've been wanting to read this for a while! Thanks!